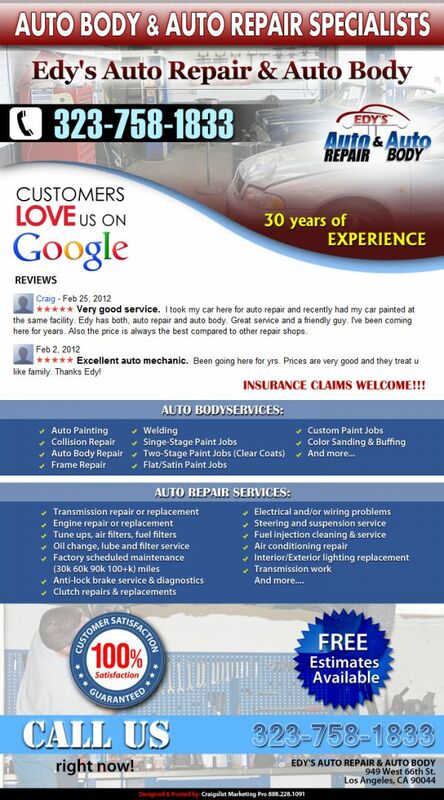 Edy's Auto Repair & Auto Body - Edy’s Auto Repair and Auto Body provides the best in auto repair services. We do complete Los Angeles auto repair – auto mechanic – engine rebuilding. Call us today for a free estimate on your car. Edy’s Auto Repair and Auto Body provides the best in auto repair services. We do complete Los Angeles auto repair – auto mechanic – engine rebuilding. Call us today for a free estimate on your car. AAMCO Costa Mesa, CA, is proud to be one of hundreds of AAMCO centers across North America.